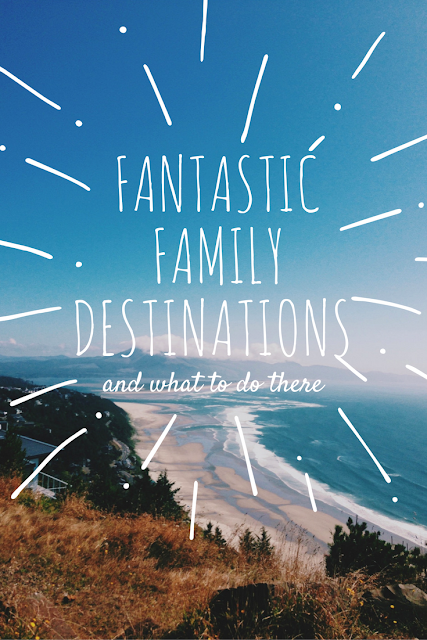 Holidaying with the family does not have to get complicated. Here are a few cost effective and family friendly destinations that have things for people of every age and interest. Thailand is a wonderful family destination and has innumerable things going for it. The people are friendly, and most resorts will run activities for younger kids so that the adults can sneak away for a treatment or two at the spa. Phuket is a must-visit on any travel itinerary to Thailand. Phuket tour deals from Travezl have all kinds of packages to make holidaying easier and affordable. Must sees include the Big Buddha, a giant 45 meter tall Buddha statue and Fantasea Park, a huge shopping and carnival type park that has actors, acrobats and elephant rides. If you need to tire out the kids, or just need some time to relax while they amuse themselves, you could take them go karting, mini golfing, or to the Trick Eye Museum where you will find loads of fun kodak moments to keep everyone happy. If you need to slow down and relax for a day or two, you will find yourself spoilt for choice with any of the island's 36 beaches that are great for swimming and sunbathing. Majorca is, and always will be our first love as far as holiday destinations abroad are concerned. From exquisite sandy beaches to exciting water sports, you will never be short of something fun to do for the entire family. And being a short haul flight away from the UK is just an added bonus. Fiji is famous for being kid friendly, there are so many wonderful activities that the family will enjoy. The Fijian islands are a collection of small islands that are populated to varying degrees. A great thing to do as a family is to pile into a boat and go for a tour around some of the choice spots. As most of the cities are very small, the majority of the shopping is in small local shops that sell handmade jewellery and clothes. There is a lot of traditional art, so finding souvenirs to take home is super fun and easy. There is surfing, jet skiing and snorkelling, even a water park so you definitely won't run out of things to do. You can also explore a mountain village or two if you get sick of the sparkling coasts. Another great bonus is that Fiji is malaria and yellow fever free, so that is just one less thing to worry about. Just Give in and Do Disney! It doesn't really matter which one you pick, be it in Paris, Hong Kong or the USA, you will be a hero in your children's eyes. Disney really is the happiest place on earth and it has something for everyone. The buildings and lands are stunning and so lovingly put together that it really does feel like you have stepped into a movie. You know the drill, buy some ears and get exploring! There are rides and all kinds of other attractions, plus coffee and pretzels are never far away. Make sure you stay until after dark when they do the nightly fireworks display over the castle. Or plan your visit during the holiday period when there is just a little extra magic in the air with the gigantic Christmas tree and the fake snow that falls after the fireworks display. I hope these tips are helpful. No matter what you do, I hope you enjoy some great holiday moments and make beautiful holiday memories as a family. We're looking for places at the moment and finding it so hard to just decide. I love the idea of Fiji! Me too! Looks and sounds amazing, doesn't it? Let me know how you get on with your holiday planning. We have Disney on our list too! Just need to decide when and which park to go to. We love to travel as a family and Thailand is one of the places on our bucket list! But I want the kids to be teenagers before I take them.